The best way to reach us is to use the BTS (Skytrain) Sukhumvit Line and stop at Phrom Phong station. Once there you should get out by the exit 3 and walk toward the entrance of Soi Sukhumvit 26 (opposite side of Benjasiri Park). There are 2 options for you. First choice is that you can walk in Soi 26, just following the road until you at the K Village, there turn left, and left again when you reach “Shinsoko” Japanese restaurant. Then just walk in the soi until you reach our shop on the left side (just after “Chez moi” condominium). It will take you around 25 minutes to walk from the bts station to our shop. 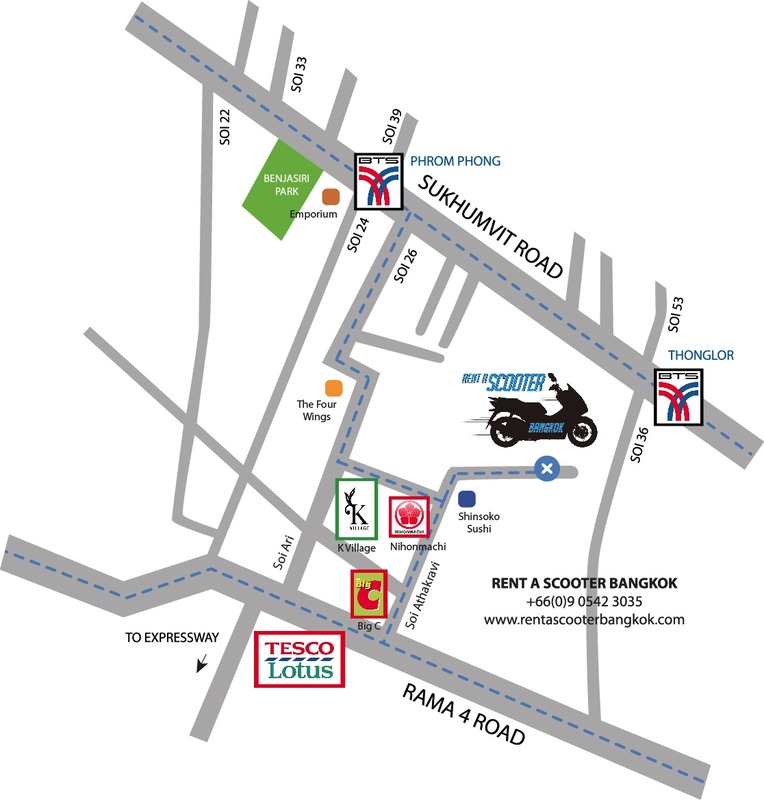 Another option can be to take a motorbike taxi at the entrance of Soi Sukhumvit 26. You can ask to the driver to bring you to “Soi tan” or “Soi attha kawi 1”. He will bring you near our shop in 5 minutes for 20 baht.